Social media has become thoroughly ingrained into our everyday lives. Its uses are seemingly endless, helping people to keep in touch, share their life experiences and display amazing pictures. Weddings and social media are no strangers, but are they a good match? 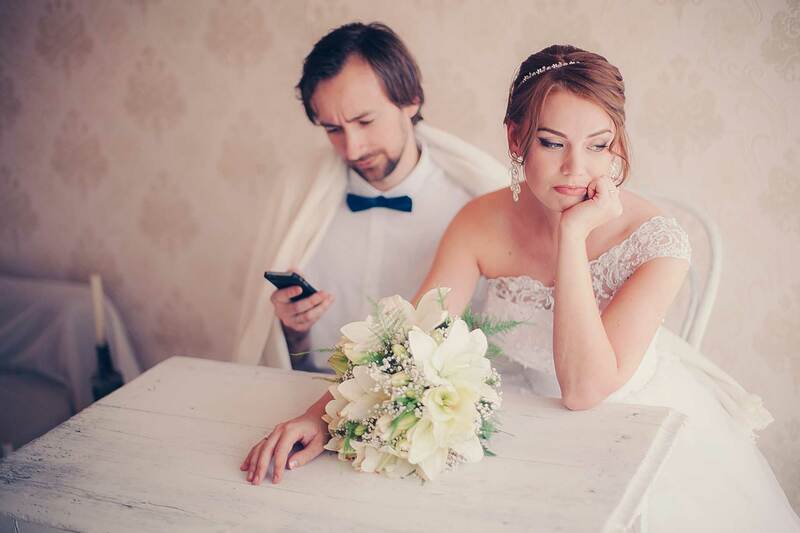 Here are some examples of the good, the bad and the ugly of social media at weddings. 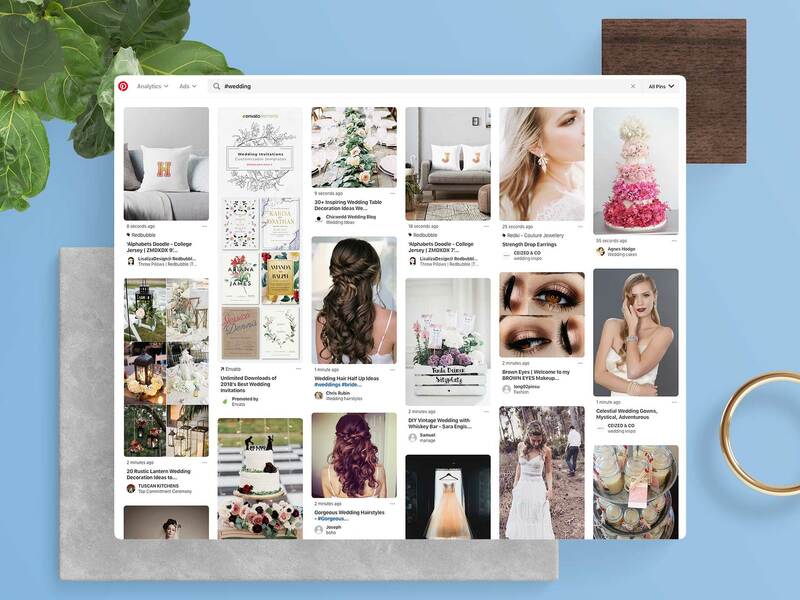 If you’ve been on Pinterest as part of your wedding planning, you’ll have heard of wedding hashtags. Often with a fun play on the couple’s names, the hashtag allows the couple, their friends and family to gather all of the wedding posts in one location. This trend has become so popular with the rise of social media that you can even find articles on how to pick your unique hashtag (so you don’t end up with the happiest day of someone else’s life mixed in with yours!) and even wedding hashtag generators. We’re talking tags like #AmyandWill2019, #TomAndSarahTieTheKnot or #TheFreemansAreTaken. It’s not uncommon for weddings to feature a sign letting guests know what hashtag to use when they post to social media. Hashtags help the happy couple to see photos from friends and family that they might miss, and provides a single location for important posts both before and after the big day. One of the most important elements of a wedding is getting loads of great photos to commemorate the occasion. While it’s nice to have candid shots taken by friends and family, couples spend a lot of money on professional photographers, who are sometimes not able to do their job properly because of amateur phone-tographers. Many couples opt for photo-free ceremonies, where only the professional photographer or videographer is allowed to take pictures. The rest of the day and the reception are usually fair game, as they are more relaxed, but the ceremony itself should be given some consideration. Another issue with guests being able to take and share wedding photos at the touch of a button with social media is that these photos are usually the first ones that a couple will see of their big day. Hiring a professional photographer and having the excitement of waiting for your images to come back can be an exciting time. Once they do, you get to relive the excitement and the memories, and gush over how stunning everybody looks. Unfortunately, it’s often the case that the first time the couple looks back on their big day is through blurry or poor quality snaps from Facebook. This can even be as early as the day of the wedding, or the next day, detracting from the last bit of the wedding you’ve got to look forward to—apart from the honeymoon, of course. 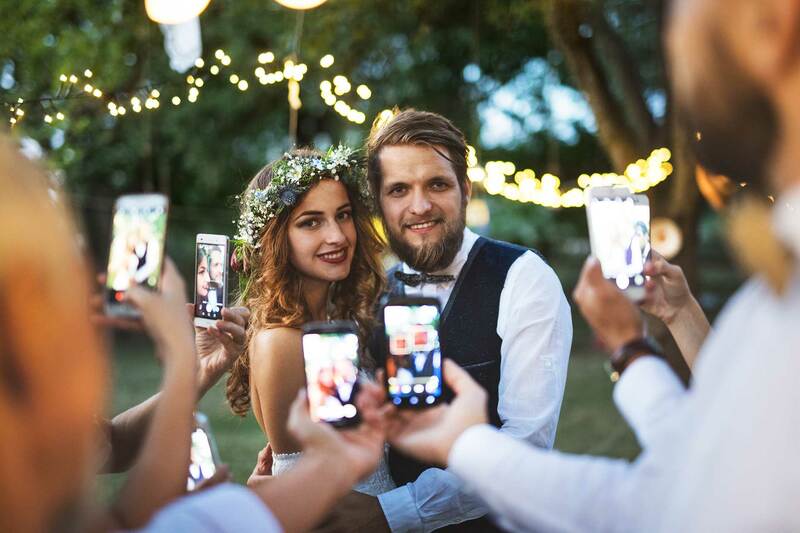 With a little care and consideration, social media can be a fun asset to a wedding, but it’s important not to let it detract from the big day.